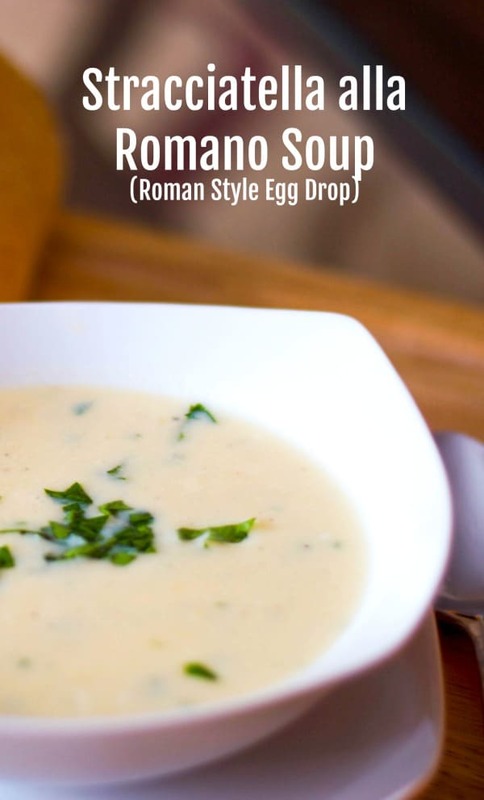 Stacciatella alla Romano or otherwise known as Roman Style Egg Drop Soup is an Italian soup consisting of a broth with a shredded eggs, cheese and spices. 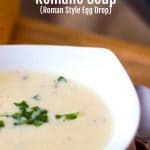 I’ve never made Stracciatella alla Romano soup before, but have seen it on several Italian restaurant menus, so I wanted to give it a try. 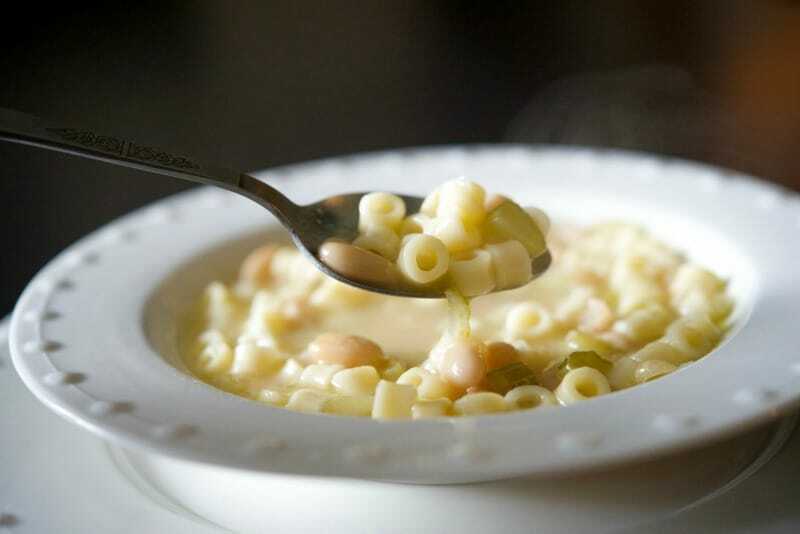 Especially since it’s also a common soup to serve during an Italian Easter dinner. This recipe is very simple to make and was ready in about 20 minutes so it’s perfect to serve for a last minute lunch or during the holidays as a starter. 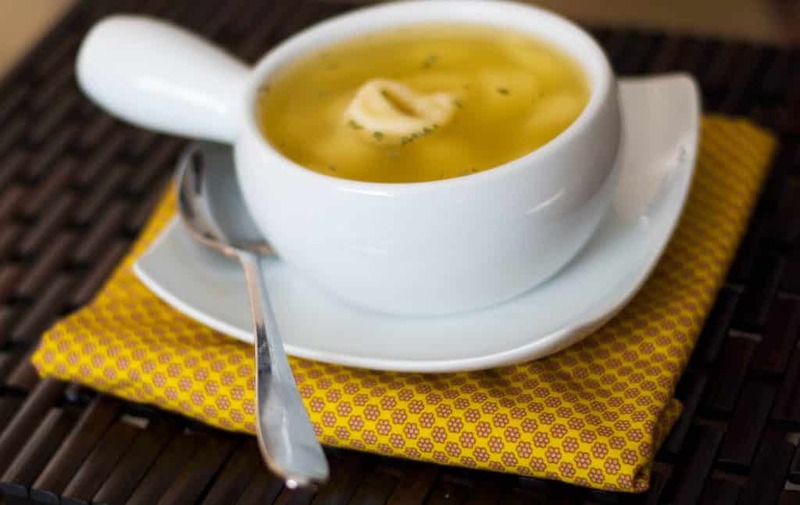 To make this soup you’ll need chicken broth, eggs, parsley, Pecorino Romano cheese and ground nutmeg. Start by bringing your chicken broth to a low boil in a medium saucepan. While the broth is coming to a boil, combine the remaining ingredients in a small bowl and whisk together until smooth. 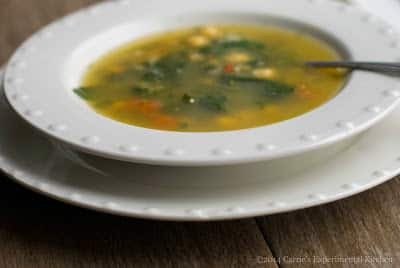 Gradually add the egg mixture to the broth; stirring slowly clockwise until the eggs are cooked; approximately 2 minutes. Season with salt and pepper to your liking; then serve. 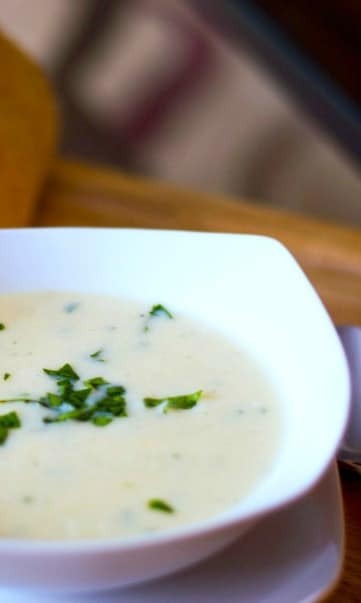 This Stracciatella alla Romano makes 4 cups and is a light, delicious gluten free soup that would go perfectly with any menu. ~Enjoy! Add the chicken broth to a pot and bring to a low boil. In a bowl, whisk together the eggs, parsley, cheese and nutmeg. Gradually add the egg mixture to the heated broth; stirring slowly clockwise until the eggs are cooked (2-3 minutes). Season with salt and pepper to your taste. Don’t forget to check out all of my Easter recipes in the Recipe Index and on my Pinterest Board! 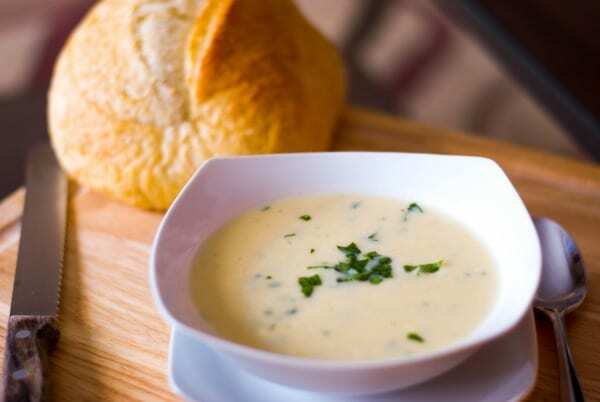 This is a beautiful looking soup! And I am so hungry right now, I shouldn’t be allowed to look at pretty food photos :).